A two-day trip from Afton Mountain and Rockfish Gap (Milepost 0) to the Peaks of Otter (Milepost 86) and on to Roanoke, the largest metropolitan area on the Parkway, offers plenty of time to experience this region and highlight the ridge-top driving experience, including magnificent views of the flora and fauna of Appalachian hardwood forests and sweeping vistas of the Great Valley of Virginia. Arrive at the Humpback Rocks Visitor Center (Milepost 5.8) and spend an hour or so exploring exhibits about pioneer life in the mountains. Choose a guidebook or literature from the information desk or gift shop library before strolling through the outdoor farm museum where, during warmer months, costumed interpreters explain the generalized life style of subsistence farmers. 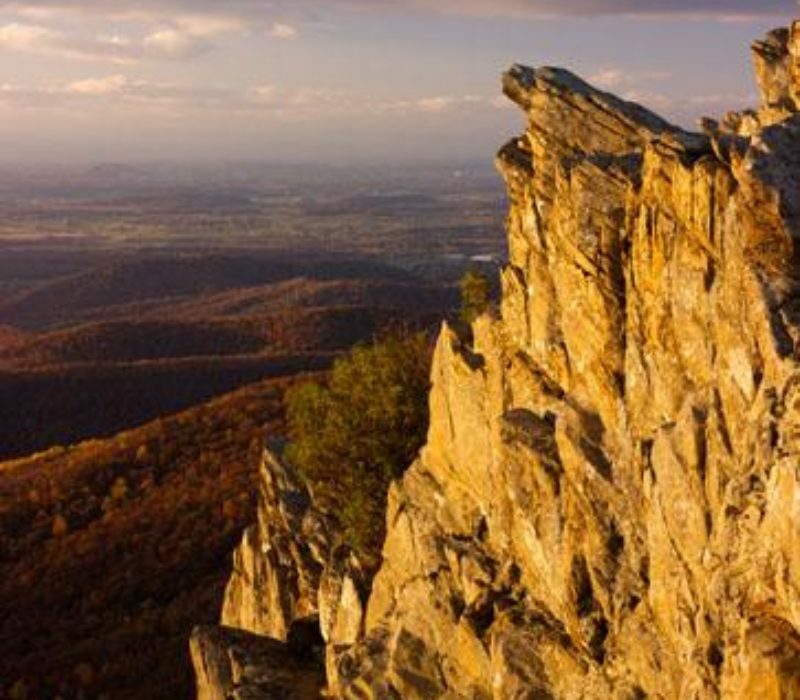 Adventurous hikers can climb to the top of Humpback Rocks (2.0 miles and strenuous) for a breathtaking view of the Shenandoah Valley to the west and Rockfish Valley to the east. 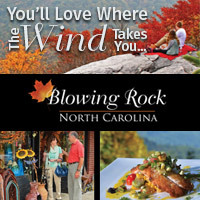 From the Visitor Center, head south on the Parkway to Greenstone Overlook (Milepost 8.8) for a spectacular view and brief introduction to some geology of the Blue Ridge region. Another quick stop at Yankee Horse Ridge (Milepost 34.4) reveals the remnants of an old logging railroad and a beautiful stream and waterfall, all within sight of the parking area. As you arrive in the lower elevations of Otter Creek (Milepost 60-63), stroll along the flat trail that leads around Otter Lake to James River (3.5 total miles and moderate). Many of the overlooks along the road have tables where you can stop and enjoy lunch. 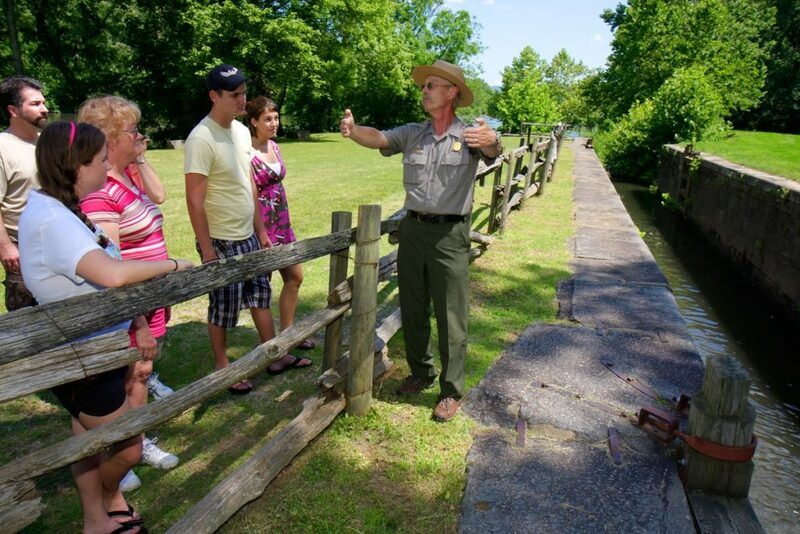 Arrive at James River Visitor Center (Milepost 63.8) by mid-afternoon and learn about the Kanawha Canal and the water gap formed here in the mountains. A quick stroll (.2 miles) on the pedestrian walkway leads to a restored canal lock on the other side of the river, a reminder of the Parkway’s proximity to many unique stories of cultural and natural history. 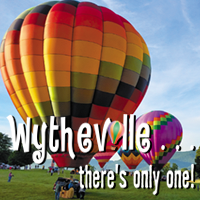 Continue south on the Parkway while gaining nearly 3,300 feet in elevation in just 12 miles! 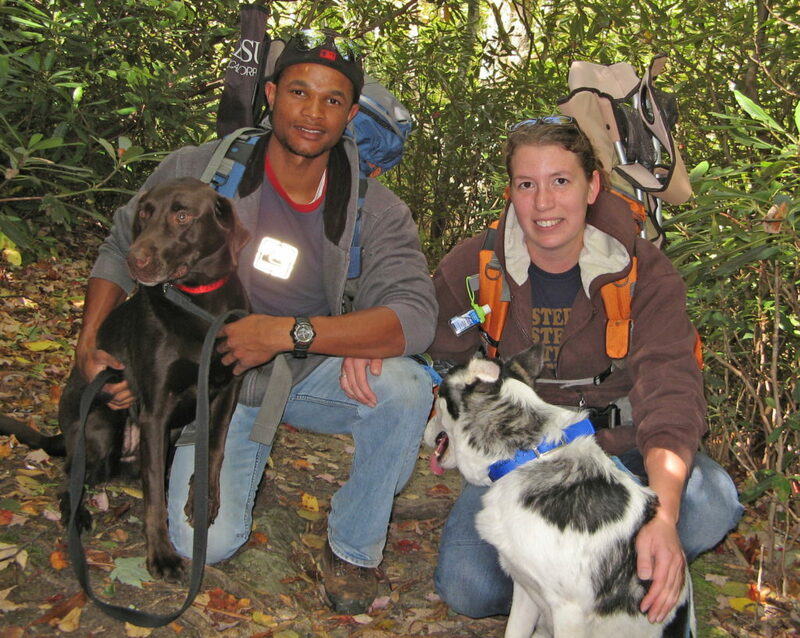 At Thunder Ridge (Milepost 74.7) a short leg-stretcher trail (.1 mile) rewards you with sweeping views of Arnold’s Valley and Thunder Ridge Wilderness areas as well as a distant view of the Allegheny Mountains. 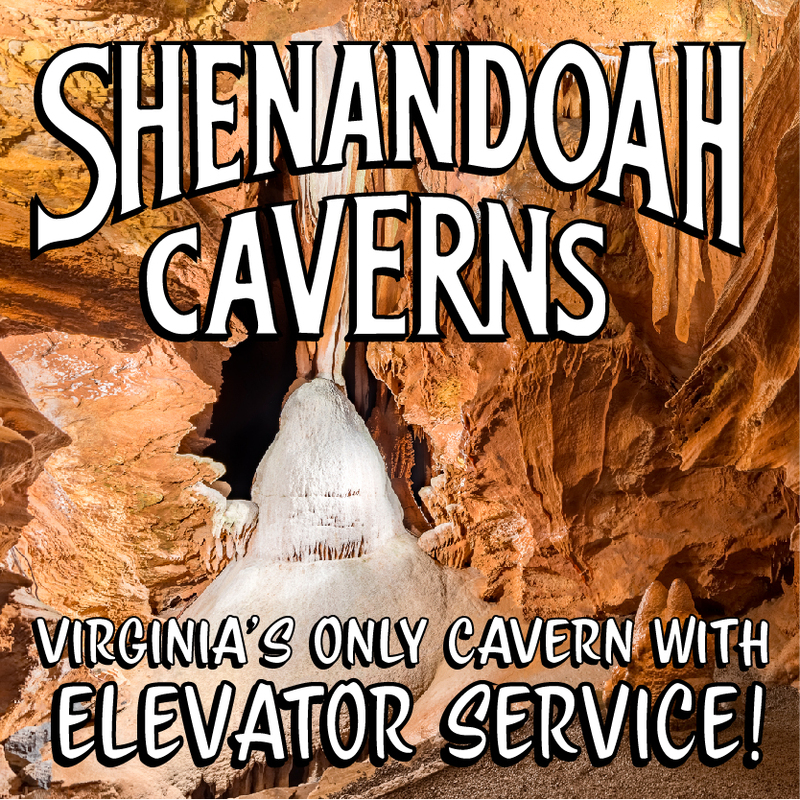 The overlook also gives you the right to say you have been on the Appalachian Trail, the 2,000-mile hiking trail from Georgia to Maine! 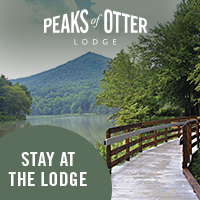 Arrive in late afternoon at the Peaks of Otter (Milepost 86) for a night in the lodge or under the stars at the Peaks of Otter Campground. Advance reservations strongly recommended. 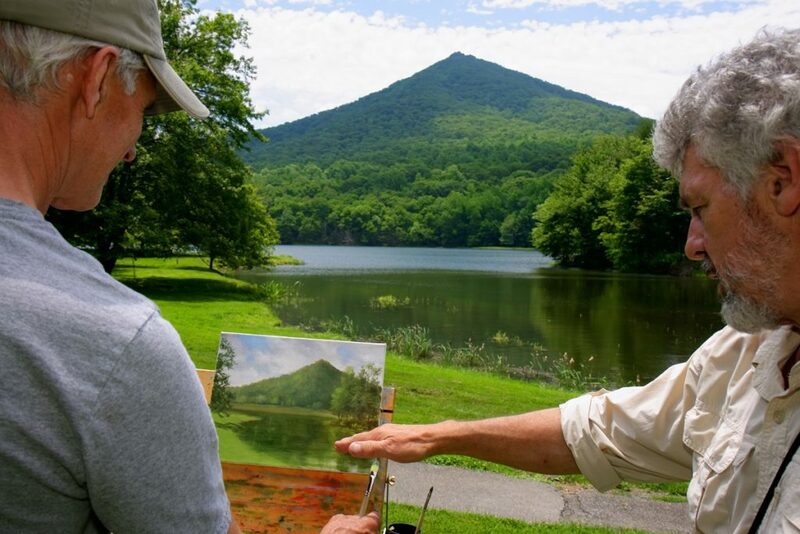 Following a centuries-old tradition, you may choose to hike up Sharp Top (1.6 miles one way and strenuous) at sunrise or catch the first bus shuttle in the morning that transports you near the summit. 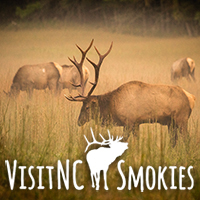 Enjoy the interpretive exhibits highlighting the “lure of the mountains” through the centuries at the Nature Center and the Peaks of Otter Visitor Center. A hike to the restored 1930s Johnson Farm (2.1 mile moderate loop) and lunch in the lodge will complete your Peaks of Otter experience. By midday, continue south toward Roanoke, with views toward the eastern Piedmont and to the west across the Shenandoah Valley and distant Alleghenies. The Appalachian Trail winds in and out of almost every overlook along this section and many visitors hike out-and-back from parking areas or between overlooks. At Harvey’s Knob (Milepost 95.3), exhibits explain the patterns of hawk migration that are seen here in the fall. If the time of year is right, you may see “hawk watchers” who will help you identify the magnificent creatures overhead. Multiple overlooks offer good places to stop and enjoy a sunset from the crest of the mountains before heading down into Roanoke Valley. 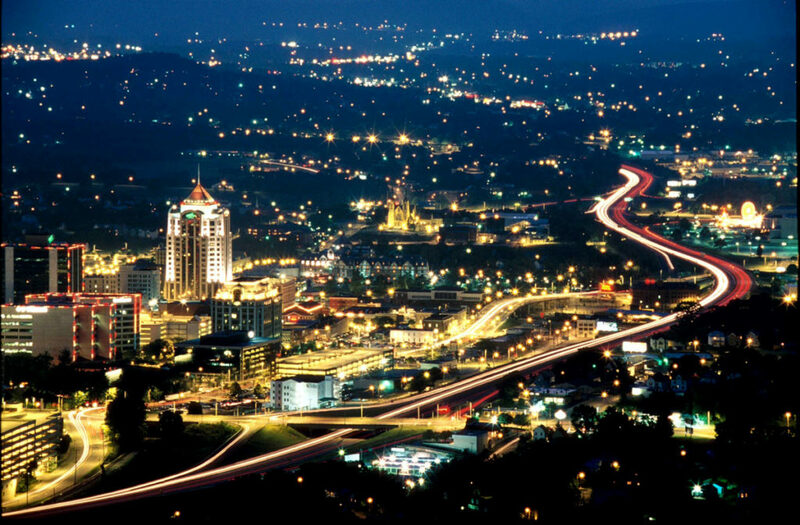 Any of the marked exits will provide opportunities to explore the many additional lodging, dining and attractions of Roanoke.